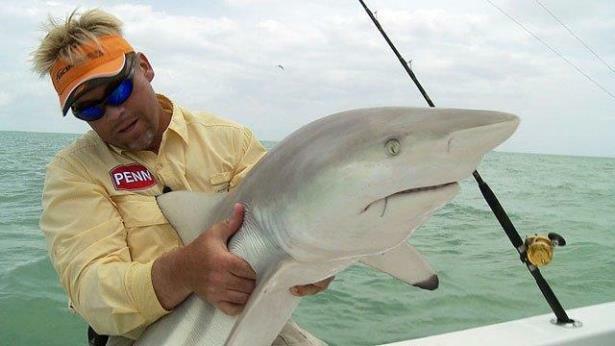 ORLANDO, Fla. – Comparatively speaking, most sharks are wimps, says Mark Davis, host of “Penn’s BigWater Adventures” that airs on Outdoor Channel. Now, he does include one shark on his short list of the biggest, meanest, toughest saltwater fish to fight, but most sharks don’t live up to their hype. Armed with rod and reel, Davis has tangled with many species of shark, including a couple encounters with the biggest, baddest out there, the great white. He’s hooked two whites while targeting mako and cut them loose after realizing it. The bigger was Jaws-sized. Those are his top species under the criteria of using the biggest tackle and most drag in pursuit of a fish that can whip you on a daily basis. 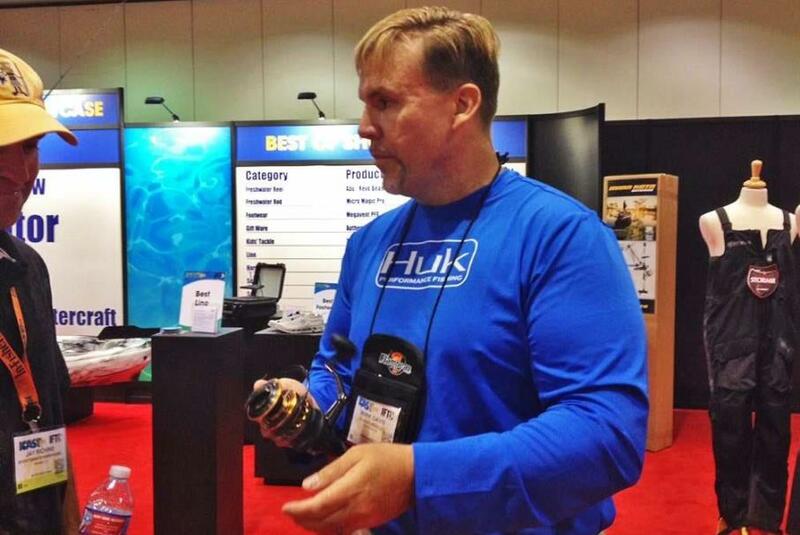 He knows he’ll get some strong arguments – a 12-foot shark in surf, or tarpon or grouper on light tackle, so there are some qualifiers in the saltiest fight discussion. “If you take everything else into consideration in a power rating, to me, it’s unpredictability, it’s power, it’s speed and it’s aerial,” he said. In Davis’ grading, billfish top the heap. Blue marlin are the largest in the category, with an 1,805-pound specimen being the heaviest caught by rod and reel in 1970, but commercial fisherman have netted larger. One brought to a Toyko market was reported to weigh more than 2,400 pounds. “You can put billfish in one category,” Davis said, “and pound for pound, what they’re going to be able to do, you have to put them on top. Probably black marlin on the very top of it. The black marlin is a blue marlin on some sort of speed and hallucinogens. For stamina and strength, not much comes close to a large tuna. The fish are built for speed, with a torpedo body shape and streamlined fins. An Atlantic bluefin tuna can grow to 15 feet and weigh upwards of 1,500 pounds. Speed, power, leaps and all the sharp, pointy teeth make the mako “one of the baddest fish that swims.” Davis said. This might garner more calls of crazy, but Davis said he sees something in makos no other fish possess. He’s seen other hooked big pelagic fish looking back at him, but there’s really nothing in their eyes. He says they also can take the fight wherever and however they want, no matter how well you drive the boat. Along with power, speed and unpredictability, makos are known for athletic jumps.